Pyramid Fusion homes in sec-70 a is the 5th project after 4 successful projects by the pyramid builders. This beautiful and staggering project from Current Affordable Housing Projects In Gurgaon is in close vicinity to the southern peripheral road in sec-70a. It comes with a stunning layout of 2 BHK apartments. Since the pricing is one of its major strengths as it is just rs 4000 sq.Ft. And rs 500 sq.Ft.And it comes under affordable housing policy which was implemented in 2013 and more importantly, it also comes under Pradhan Mantri Awas Yojana. This beautiful project is spread over an area spanning over 5 acres and moreover (RERA ID is of 10 of 2019). Its stunning infrastructure is out of the world and comes with unimaginable safety such as advanced fire-fighting system and earthquake resistant system to name a few. 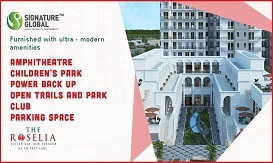 Pyramid elite located in sec-86 is one of the latest projects from pyramid Infratech Pvt. Ltd. This residential project stands out from the crowd as it is one of the few projects which is affordable and luxurious as well. Pyramid elite in sec-86 has the configuration of 7 towers are designed in such a way that it contains a total of more than 800 units. More importantly, it is developed under Huda affordable housing policies and moreover, the allotment of the apartments will be held in the presence of DTCP Haryana. It is developed and constructed over a span of the total area of 5.61 acres with 50% open space. This stunning residential project consists of 2bhk in different layouts. It is situated in one of the foremost locations in Gurgaon where the consumer can easily get basic facilities such as retail shops, shopping malls, and medical stores to name a few. OSB Golf Heights Sector 69 is one from current affordable housing projects in Gurgaon by Ocean Seven Builder(OSB). Moreover, it is within close proximity to Golf Course Road and Sohna Road. Additionally, it is sprawling in an area of more than 5 acres. Furthermore, the builder promises that the project will be delivered on time. In fact, the project will be built with modern infrastructure and good construction quality. Also, the payment plan of the Golf Heights Sector 69 project is under HUDA Housing Policy. OSB Golf Heights also promises to provide you with all the conveniences and amenities that you need like CCTV security and elevators. Also, there is a fire fighting system, a play area for children, 24×7 power backup and many more. Further, the location also benefits from a nearby shopping complex and an upcoming Metro Station. 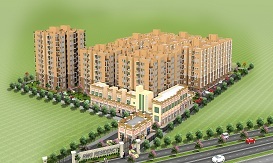 Supertech manufacture comes with the new affordable housing project in sector 78 Gurgaon. Besides, the project offering under the affordable housing policy. And, providing classy 1 BHK, 2 BHK, and 3 BHK apartments. Supertech The Valley sector 78 Gurgaon will be developed in 9.5 acres green land. In fact, in the 9.5-acre land, 6 towers will be developed with 750 apartments. Further, each apartment will be cover with the community hall, yoga center, running track and green park. In fact, inside the apartments, there will be a modular kitchen, Italian marble on the floor and plastic paint on the wall. Imperia Affordable is one of the current affordable housing projects in Gurgaon. An ideal outcome of Imperia group the first of its kind coming affordable housing project in sector 37c Gurugram. which radiates with serenity and privacy in its tranquil and stress-free living. Living at Imperia Affordable Gurgaon is life exclusive. Amidst lush greenery, Current Affordable Housing Projects In Gurgaon offering pristine luxury in the lap of Gurugram. But Far from its congestion and pollution. All urban extravaganzas are a stroll away. Be in the premium shopping malls, food court, educational institutions, hospitals or places of worship. Agrante Realty is bringing a new affordable housing project “Agrante Sector 108 Gurgaon“. Moreover, it will be in a peaceful environment. The project comes equipped with many features and amenities. Actually, it offers a 24×7 High-tech security system, spacious car parking, and high-speed elevators. Moreover, it also has a play area for children, complete Fire-Fighting and Fire Alarm system, 24×7 Power backup for common area and more. Agrante Sector 108 Gurgaon is being developed under HUDA Affordable Housing Policy. Furthermore, it will sit only a minute away from Dwarka Expressway and retail shops. Additionally, the project will be very close to Gurgaon Railway station and IGI Airport. Pyramid Sector 67A is in the list of affordable housing projects in Gurgaon. Also, it is a project under the Affordable Housing Policy. Moreover, this project is the Haryana Government approved. Furthermore, they are providing world-class architecture apartments at very affordable price ranges. Additionally, the project sits in Sector 67A which known for its high location value. Further, it has easy connectivity with Golf Course Extension Road. Even More, Pyramid Sector 67A has a wide list of apartments in Gurgaon. Also, it will include luxurious 1, 2 and 3 BHK apartments. Indeed, Current Affordable Housing Projects In Gurgaon offers all the necessary amenities. Such as gyms, clubs, children’s play zones. Additionally, automatic lift systems plus natural and refreshing surroundings are present. 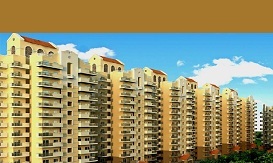 Ninex Sector 76 Gurgaon is the latest upcoming project under affordable housing policy by Ninex Infratech. It is located at a prime location on National Highway-8(NH-8). Hence, it is within a short drive away from IIFCO chowk and IGI Airport. The builder provides many amenities like Clubhouse and Creche for kids. Additionally, its equipped with 24×7 Electric and water supply, elevators and more. Ninex Sector 76 will use Mivan Shuttering Construction Methods. Hence, it will have the best infrastructure with Earthquake resistant buildings. It is being built on a stretch of 5 acres and is approved by Haryana Government. Furthermore, it will have a proposed Metro Station and ISBT within reach. 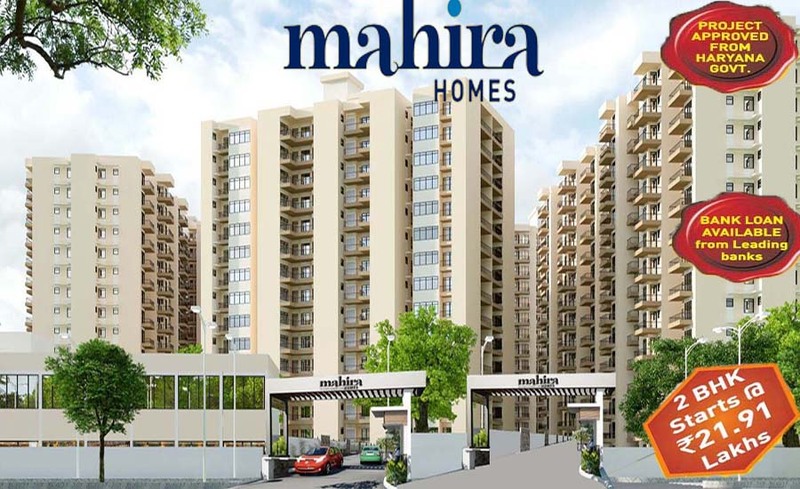 Mahira Homes sector 68 is a Current Affordable Housing Projects in Gurgaon. Moreover, its location is at “sector 68 Gurugram on Sohna road”. Also, it is under HUDA affordable housing scheme in Gurgaon. Furthermore, it provides 2 and 3 BHK flats. Also, these apartments enclose within beautiful views of nature, “lush greenery and peaceful” environments. So, it will definitely please your desired specifications. 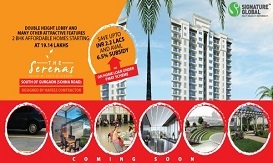 Mahira Homes Sector 68 Gurgaon is nearby with Golf Course Extn. Road and only 30 minutes away from “IGI and Domestic Airport”. Moreover, this “cheap property in Gurgaon Sohna road” is just a few minutes from the upcoming “metro link and NH 8”. So, this place has many location advantages. Signature Sector 79 in upcoming projects in Gurgaon is an affordable housing project licensed by HUDA. Also, Sector 79 Gurgaon is going to be another great project by Signature Global. And, it has an outstanding track record in affordable housing all over Gurgaon. Thus, Signature Global 79 in upcoming residential projects in Gurgaon is a premium project located at sector 79 Gurgaon. Moreover, it is a highly convenient project due to being near to Southern Periphery Road and NH-8. Also, an upcoming metro station is in close proximity. 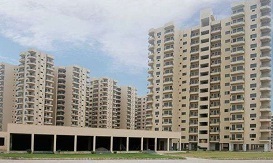 Furthermore, this Current Affordable Housing Projects In Gurgaon is promising. Especially, because of the price point and trustful standards of Signature Global. Additionally, the project is a must buy on the basis of location, governmental approval, affordable payment scheme and a large scope of development in the future. ROF Ananda Gurgaon is affordable housing in Gurgaon that brings a great opportunity. Also, it is for those who want to make their dream home in a prime locality under low cost. Moreover, it sits in Sector 95 Gurgaon thus providing very easy access to Pataudi Road. Furthermore, the residents will get basic amenities. Such as clubhouses, automated lifts, power backups and more. 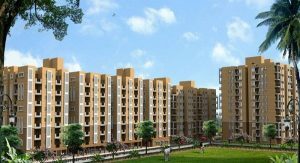 Additionally, the Current Affordable Housing Projects In Gurgaon also offers parks, play zones for kids, garbage collection facilities and so on. Also, it is available in the price range that is very affordable. ROF is a well-known name in the real estate world. And, is recognized for its firm commitments towards its project goals always giving 100% efforts. Further, ROF Ananda 95 list of residential apartments in Gurgaon is the promising project for families looking for apartments. There are lush green surroundings nearby prime locality ends. 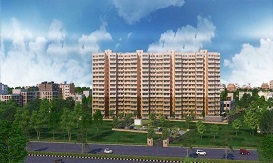 GLS Avenue 51 is a property in Gurgaon which is an affordable housing project approved by HUDA. Also, it provides a life-changing opportunity for home seekers. Especially, for those who are looking for best-designed apartments. Additionally, GLS Provides well-architectured apartments at an affordable price point. Furthermore, GLS Avenue 51 sector 92 which is the best place for those wishing to Buy Property to make their dream house. Especially, in a natural and modern environment. 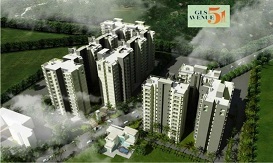 Additionally, Global Avenue 51 Current Affordable Housing Projects In Gurgaon offers many amenities. Also, it is close to the dominant localities of Greater Gurgaon. Signature Global Roselia is the latest Affordable project and is another classic project by Signature. Moreover, the Project is under the Affordable Housing Policy licensed by HUDA. Also, it has well-structured and beautifully designed apartments at very affordable pricing. Everyone can take advantage of this opportunity to make the dream of their own house come true. 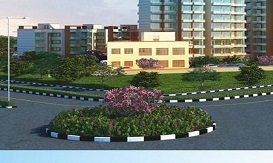 Furthermore, Signature The Roselia flats in Gurgaon sits in Sector 95A Gurgaon. Also, it is in the close range to various prime locations of Greater Gurgaon. Moreover, this project in Gurgaon gives you the proper blend of natural and urbanized surroundings. Also, it has a surrounding area of lush green land. Additionally, there are many amenities like gyms, clubs, children’s play zones, automatic lift systems etc. Signature global Millennia affordable housing in Gurgaon is a good option to bring excellence. And contemporary design together. Amenities for community delight as well as for the individual ones are par superiority. signature Global The Millennia 37D Homes are designed to let in natural light. To have cross ventilation to enable circulation of fresh air in all rooms. ‘So the use of available space’ is another feature that makes signature global a desirable home. Accordingly, All rooms in Signature Global Affordable Housing based on suitable orientation. Every room designed to accommodate the home appliances that you will be adding in the future. Signature Global Gurgaon Affordable Housing in Sector 37D is Current Affordable Housing Projects In Gurgaon is a relationship that will last for a lifetime. Signature Global upcoming affordable housing scheme in Gurgaon one of the topmost names in Gurgaon Market. It’s made another milestone by presenting Signature Global the Serenas. An affordable housing project It is situated near the natural bliss of Aravali hills. Projects are in a green and peaceful environment of Sector 36 Sohna. 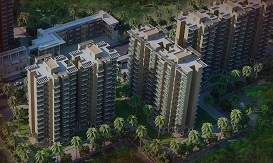 Signature Global Serenas affordable housing projects in Gurgaon consists of 1, 2 BHK apartments. With the planned design of the different units providing proper ventilation and systems. Current Affordable Housing Projects In Gurgaon will give a very whelming experience at a cost-effective price point. Due to its sound and peaceful location, it will be one of the most environmentally friendly as well as modern localities. 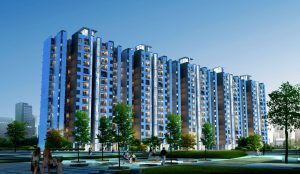 Signature Global Solera 2 low budget flats in Gurgaon is the second phase of the Solera project by Signature Global. 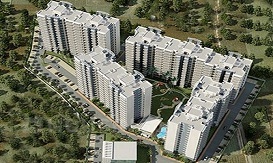 The project is under the Affordable Housing Policy of Haryana Government approved by HUDA. Here you can find the peaceful and mesmerizing environment for your dream home under a very affordable price. plus the royal feeling of living in the urban locality with a number of art amenities well suited for a safe and healthy lifestyle. 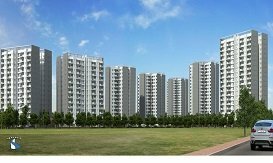 Across this Solera Phase 2 affordable housing projects Gurgaon situated in sector 107 Current Affordable Housing Projects In Gurgaon. That gives you the advantage of direct connectivity with Dwarka Express Highway hence makes it a promising location. Conscient The Habitat is an affordable housing project established by the Prime Infra Developers in Sector 99, Gurgaon. The Conscient Habitat coming with 2 BHK flats that consist of around 800 + flats. The project is in a range of 5.59 acres of land that developed under professional architecture. By using technology to develop its interior part that gave a feeling to live a luxurious life. Habitat Sector 99 is going to offer you some convenience source like Creche, Lawn area for yoga. Lift facility, Common Hall, Space available for the common room also given. Where Conscient Sector 99 in the list of current affordable housing projects in Gurgaon is a project of HUDA affordable housing. Also accessed the nearby location such as Dwarka Expressway and moreover. Current Affordable Housing Projects In Gurgaon connected to important landmark of Sohna Road, Rajeev Chowk, Hero Honda Chowk, Pataudi Road. Ninex RMG Residency 37C, Current Affordable Housing Projects In Gurgaon is a 5 Acres of land venture that has a building of 8 towers. The towers of the building include 11 number of floors. which are containing 724 number of strategically built apartments. The apartments are of 2 types included in this township, that is 1 BHK and 2 BHK condos. Behind this, Shortly Ninex Sector 37C is Current Affordable Housing Projects In Gurgaon which is having a good resale value that is about Rs. 29.75 Lac. In fact, Firefighting equipment is equipped in this project. The main feature of this project is automatically computerized lifts in each tower. 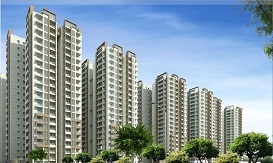 Notably, In other words, Pivotal Paradise Sector 62 is a property in Gurgaon and bounded on an area of 5.07 Acres land. The township is full of 760 apartments, 15 floors, and 5 towers. All apartments in this project are 1 and 2 BHK apartments. As well As The resale value is very excellent, that is Rs. 12.50 to Rs. 45.56 Lac. This project is a new launching affordable housing project in Gurgaon. Meanwhile Pivotal Sector 62 Current Affordable Housing Projects In Gurgaon. In the Same way, crafted in Sector 62, Gurgaon on Golf Course Extension Road. Although The undertaking is has a multipurpose court to enjoy outdoor games, Jogging panels. swimming pool that takes cares of your health. Bedarwal Sector 63A Current Affordable Housing Projects In Gurgaon is that covers 5.90 Acres of land area. This total area of this project to be developed with 9 towered building full of 11 floors of 850 units of 1,2 and 3 BHK pads. 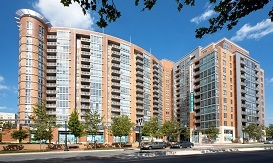 which are conveniently designed according to the demand of Urban Living. 65% area is open and green that provides filtered and fresh air to apartments. 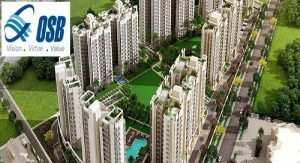 Presently Bedarwal Golf Drive 63A Current Affordable Housing Projects In Gurgaon is working according to Haryana affordable housing scheme for clients. To put in another way A wonderful project which has entire world-class luxuries available. For the low pocket, the budget is Golf Drive Sector 63A Gurgaon on Golf Course Road.